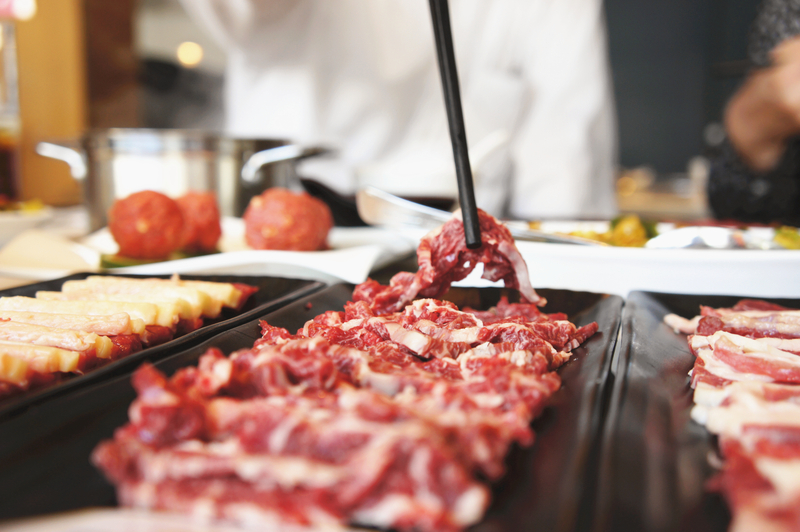 TeoChew beef hotpot has 100 years history. Compared with other hotpots, Tēo’s beef hotpot selects only the grass-fed and pasture raised beef from local cattle farms in California. The beef we use is delivered fresh and never aged or frozen to preserve its exquisite flavor. The soup broth is prepared by cooking fresh bone for over 10 hours to extract all its nutrients and taste. Tēo’s meat balls are made in store by hand in the showroom with our freshly arrived beef and allows us to achieve a unique texture and extraordinary taste. Prepared with the freshest meat available to capture the best taste and texture. Every beef meat ball is hand crafted and made for an unique taste experience in the bay area.